DESCRIPTION: Their wingspan is 7.5-9.1 in. and they weigh 0.3-0.5 oz. 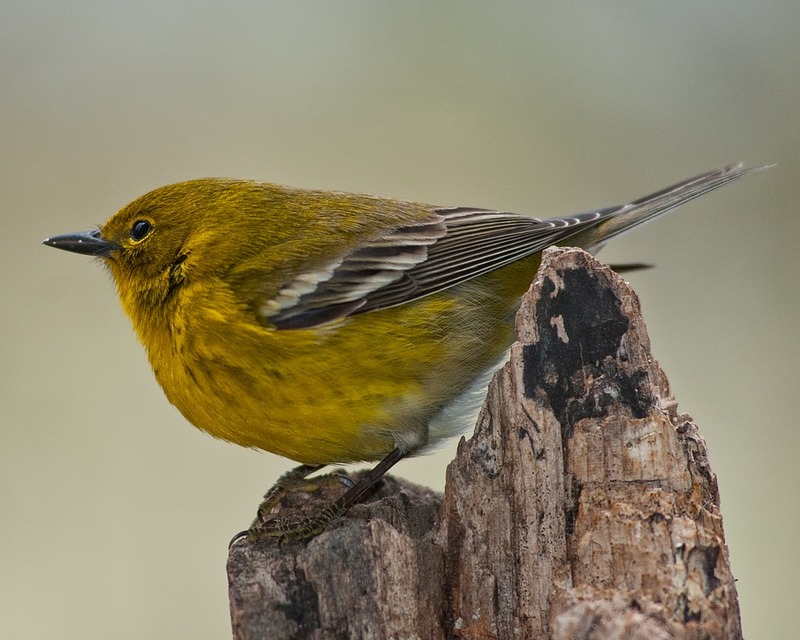 HABITAT: Pine Warblers live, as their name suggests, in pine forests. DIET: They eat insects, arachnids, seeds, fruit, and berries. NOTES: Pine Warblers sing a series of trills. They are protected on the US Migratory Bird list.